I am just catching up on blogs from this year (with a hectic wedding season it is often difficult to find the time to write). 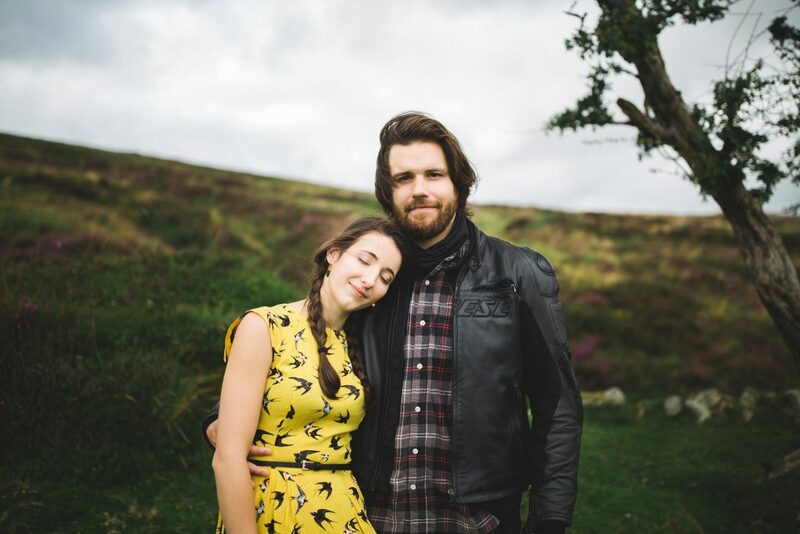 However, before I share photos from the very lovely Sofy and Dave’s wedding day at Trenderway Farm, I thought I would just feature a few shots from what turned out to be one of my favourite engagement shoot of this year. 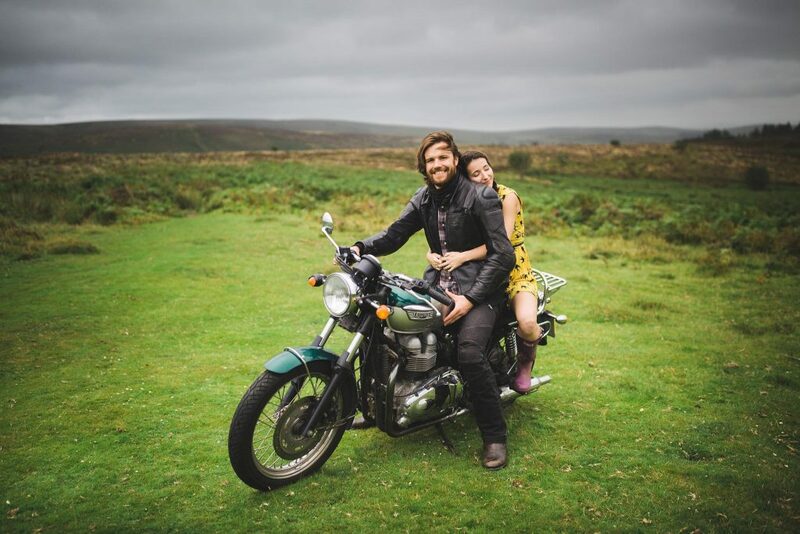 Sofy and Dave have a shared passion – their Triumph motorbike. They ride throughout the year, whatever the weather (for this I applaud them). 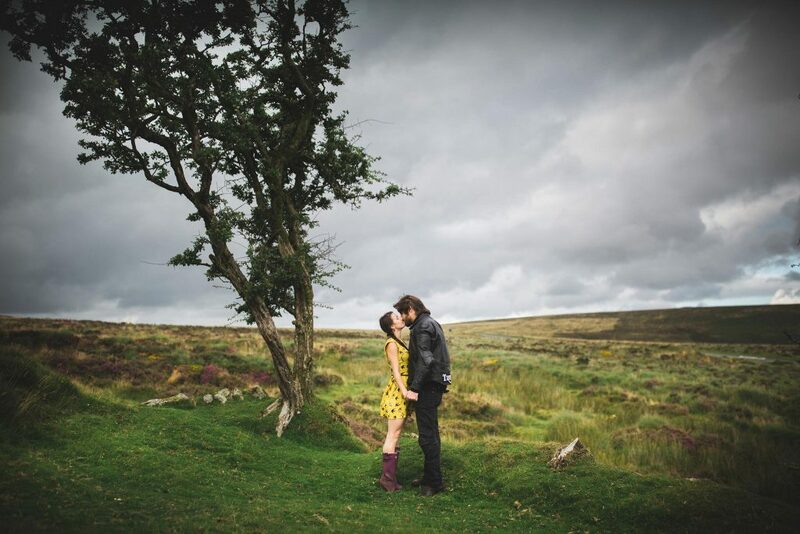 When we discussed the location for their engagement shoot, one location definitely stood out – Dartmoor. 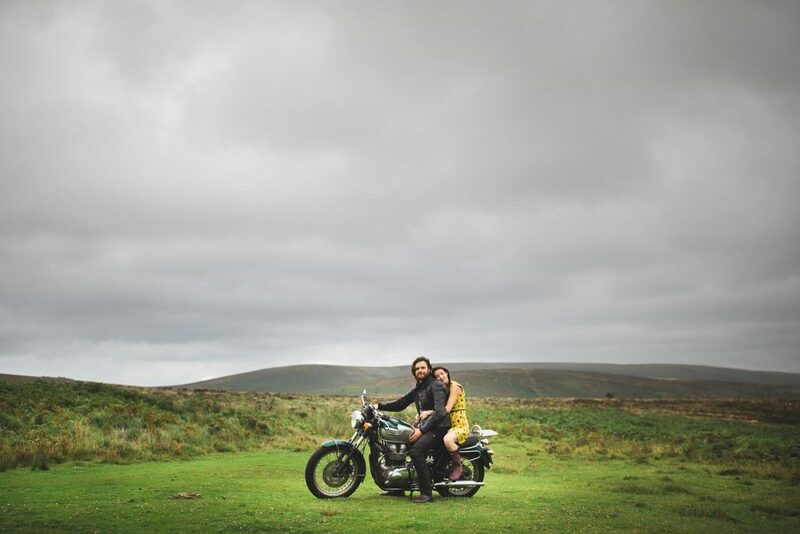 I love Dartmoor and the place always holds a strong pull for me (I spent a lot of my early 20s roaring around the moor on my motorbike, so I know exactly why it meant something to them). 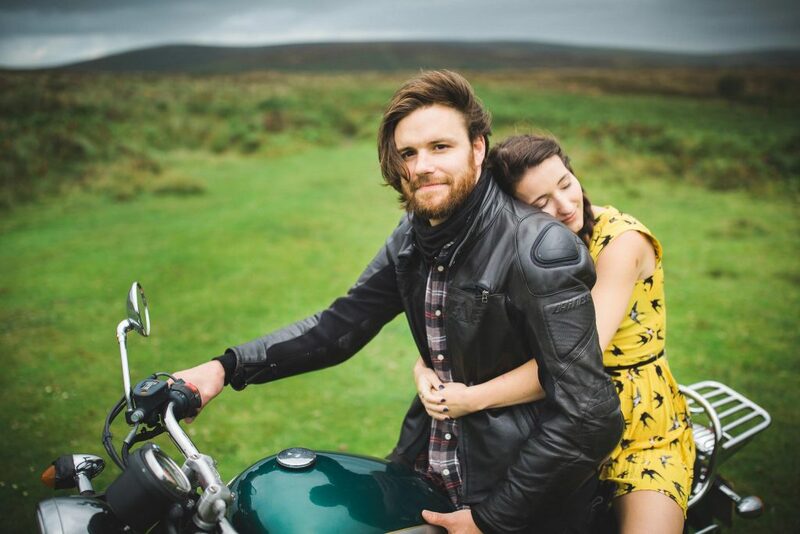 With this in mind we met at the end of one day out on the wind swept moor. The weather felt like it could change at any moment, but the light was superb. 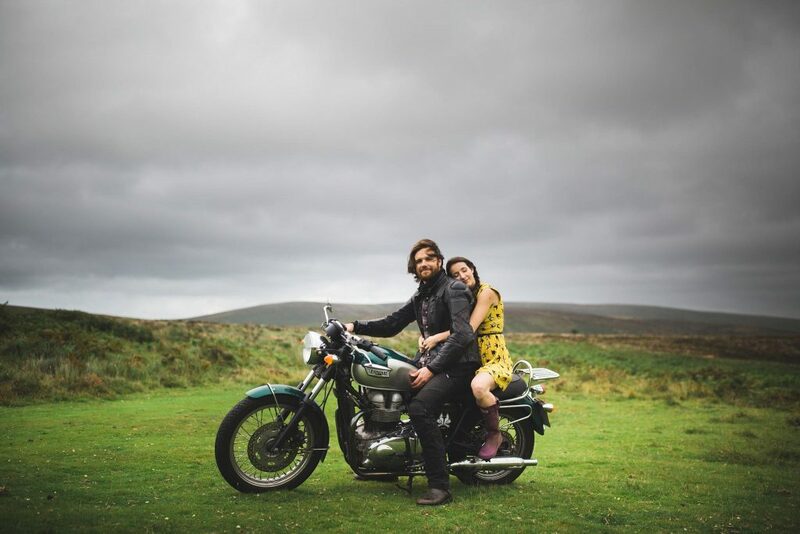 We always had said the bike should be part of the shoot and she looked beautiful (as did the bride and groom to be). I hope you like these images. 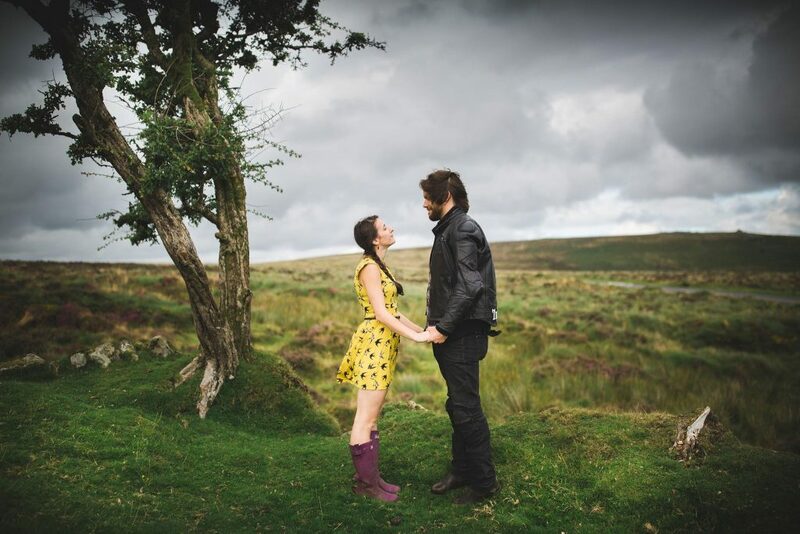 To see how their big day turned out, check out my Trenderway Farm Wedding post.